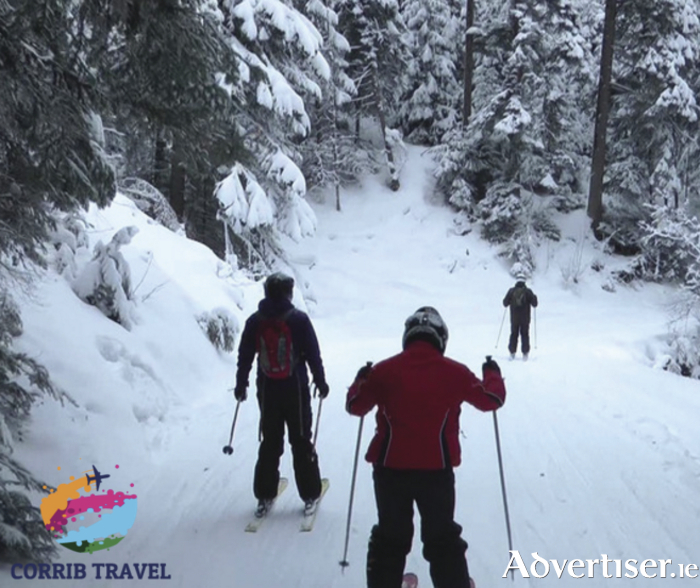 Advertiser.ie - Going Skiing? Try Bulgaria..
France, Austria, Switzerland, Germany, Andorra are probably the first destinations that pop into our heads when it comes to skiing. These countries have a reputation of providing ski tourists with some of the best pistes on the continent. However, you may not know that Bulgaria is fast becoming the go to place for a ski holiday. With a superb range of resorts, Bulgaria is one of the cheapest countries in the EU, meaning you will get the thrill of flying down some of the most picturesque pistes safe in the knowledge that you have not broken the bank for the experience. So where in Bulgaria should you go? A modern ski resort with a vast array of shops, bar, restaurants, and luxury hotels, Borovets offers excellent skiing facilities, pistes, and lifts. The biggest international mountain resort in Bulgaria, Borovets experiences mild winters (average January temperature of 5ºC ) with lots of snow. A number of winter sports can be practised on the slopes including skiing, snowboarding, night-skiing, cross-country skiing, biathlon, and ski jumps. The total length of the ski pistes is 58 km with the highest at 2600m. Ski runs vary in difficulty. The pistes are grouped in three ski centres: pistes of Sitnyakovo – Martinovi Baraki region; four pistes of Markudjik region and three pistes of Yastrebets region which are considered to be the best and is where all winter sports competitions take place. Located 126km from the city of Plovdiv and only 70 km away from Bulgaria's capital, the ski resort is easily accessible. Irish holidaymakers can travel directly to Sofia from Dublin with Ryanair. Situated in the heart of the Rhodopi mountain, Pamporovo is Europe's most southerly ski resort as well as Bulgarian's sunniest.The resort is situated 1650 m above the sea level at the foot of peak Snejanka. The rounded mountain slopes and summits are suitable for skiing and snowboarding for beginners. But even if you are an advanced skier there are difficult ski runs like 'the Wall' to test yourself. Pamporovo is 240 km from Sofia and 85 km from Plovdiv. A new Bulgarian ski resort, Bankso has been recently discovered by foreign skiers and tourists. Arguably Bulgaria's number one skiing destination, the resort has the longest ski season of any in the country lasting from December 15 to May 15. Located 160km from Sofia, Bankso provides excellent ski and snowboard facilities, as well as numerous new luxury hotels, Bankso is not just a resort but also a beautiful historic spot. The resort lies on the two banks of the Glazne river at the foot of the Pirin mountain. The town of Bansko is located 925 m above the sea level, whereas its ski area is at an altitude of 2000 to 2600m. So there you have it. Check out Bulgaria for a new skiing experience with Corrib Travel, why not call in and speak to their lovely team?